« Ray Manzarek & Roy Rogers ‘Twisted Tales’ CD Now Available! 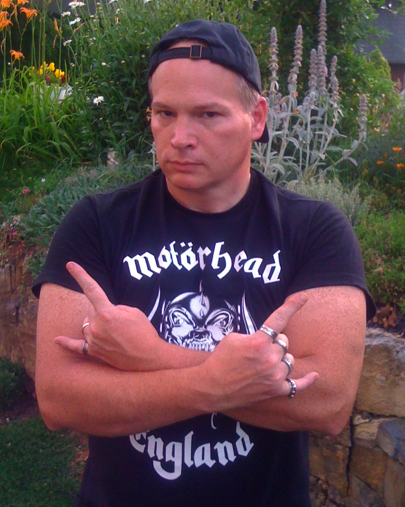 MAMMOTH SALMON “Internet EP 2” – Is Stone’s METAL Pick Of The Day! MAMMOTH SALMON – Sludge, Doom, & Keeping it Real. Those exact words are found on the about page of MAMMOTH SALMON’s Facebook. Metal truth be told, that sums up this 3 song Internet EP 2 from this Portland, Oregon Metal band quite adequately. There is an Internet EP released prior from these guys, back in December of 2012. I’ll blab about that one too in the near future; working my way backwards, I guess! This Internet EP 2 has recently been released this past March and it’s HEAVY as freaking homemade molasses and an all-out riff fest. Raw and damn cool are these 3 songs I’ve listened to on this EP. MAMMOTH SALMON aren’t following the leader with their sound either. The Sludge and Doom that this Metal pack from the Great Northwest is tapping into has an electric vibe happening; that’s where the real comes into play. I just cannot control myself digging the way MAMMOTH SALMON have pieced these songs together, from a super thumping doom march to a crawling drone interval and back again; this band has caught my Metal attention. Paul Dudziak (vocals, guitar & bass) and Mitch Meidinger on drums are the Dynamic Sludge Doom Duo that makes up MAMMOTH SALMON and it’s my Metal recommendation that you give them a listen. I can honestly see MAMMOTH SALMON gaining some potent label attention (if the right person hears their Metal) in the near future, with such a strong mindset to keeping their songs both super heavy and fantastically interesting. Metal be thy name. WHOA! Check out that concert flyer below! 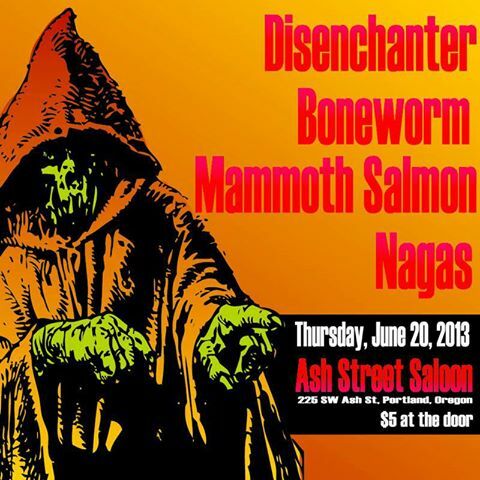 MAMMOTH SALMON has a show tonight at Ash Street Saloon in Portland, Oregon! * Internet EP 2 was engineered and mixed by Mike Anzalone at Studio 1414 and mastered by Adam Pike at Toadhouse Studios. * For more info on MAMMOTH SALMON, click on the links below! This entry was posted on June 20, 2013 at 10:00 am and is filed under doom metal, Heavy Metal, heavy metal news, Metal, metal music, Music, rock music, rock music news, sludge metal with tags doom metal, mammoth salmon, mammoth salmon internet ep 2, metal albums 2013, Metal News, sludge. You can follow any responses to this entry through the RSS 2.0 feed. You can leave a response, or trackback from your own site.